The least-expensive yet fancy way to own a property in Pattayas most popular residential complex. Compact and easy to maintain, these top modern townhouses offer resort facilities and safety within the larger estate. Even amongst the super-residences at Pattayas most sought-after residential complex, this designer-estate with elevator and all thinkable luxury on 1.500 m2 living-space, stands out. Just click to have a look why. This chic villa has been designed and custom-built by professionals. And it is the best-priced sea view villa within Siam Royal View. 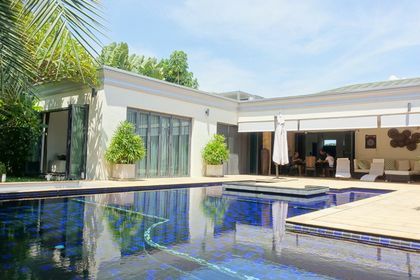 Have a look at this generously large villa in the most sought-after upscale gated community in the Pattaya-area. 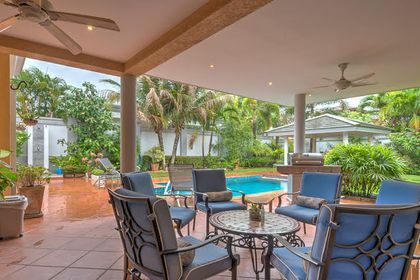 Beautiful outdoors with a salt-chlorinated pool and tropical gardens, 2 entrances and above all, very attractively priced. Supervised by a construction expert, this villa has all the quality features you will value more and more as time goes by. 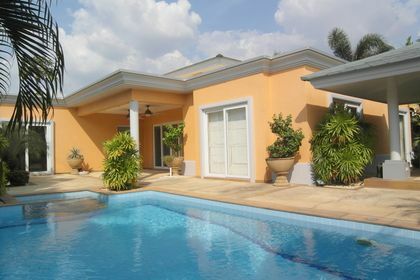 Pleasant and undisturbed living in luxury and peace in likely the best housing-estate in the Pattaya area. 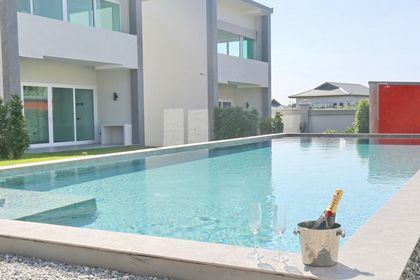 Get yourself a custom-built pool-villa on over 1.200 sqm of land within Pattayas leading housing-estate, Siam Royal View. Beauty, utmost privacy and luxury plus a top quality construction is offered here. Siam Royal View is the village to be. This property is located on the top end of the housing-estate and is one of the few, offering a truly large garden-area. The property offers utmost privacy and living in peace and harmony.